This just in… SDCC 2011 Marvel Legends Thor Exclusive! It honestly seems like ages since I’ve had a new Marvel Legends figure in my hands. Oh, how I’ve missed you, old friend! Now, I finally get one and I’m torn over whether to open the package or not! 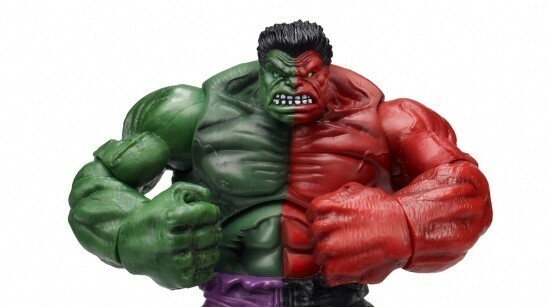 So far, I’m going with not, since we will be getting the same figure in a few more months in the first wave of the Marvel Legends re-launch. 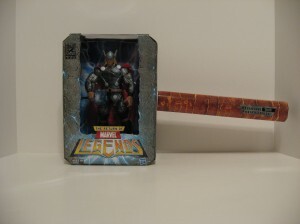 I really like the packaging shaped like Mjolnir for the SDCC exclusive Thor, but it takes up a lot of room to display with the handle. It’s hard to tell in the packaging but he seems to be a very large figure. Closer to the Marvel Select scale Thor in size. That doesn’t bother me because I always thought the Giant-Man Wave Thor was a bit too small. Thor should be bigger. I battled with the HasbroToyShop website for nearly three hours trying to get a Thor, but I was also able to score a SDCC Masterworks Sentinel exclusive too. I only wish now I would’ve gotten Galactus last year. This Sentinel is one huge carded figure. I won’t be opening the Sentinel, for sure. Anyone else able to get the SDCC Thor? Did you open it? What do you think? Very cool… I hadn't realized the packaging was a Hammer. 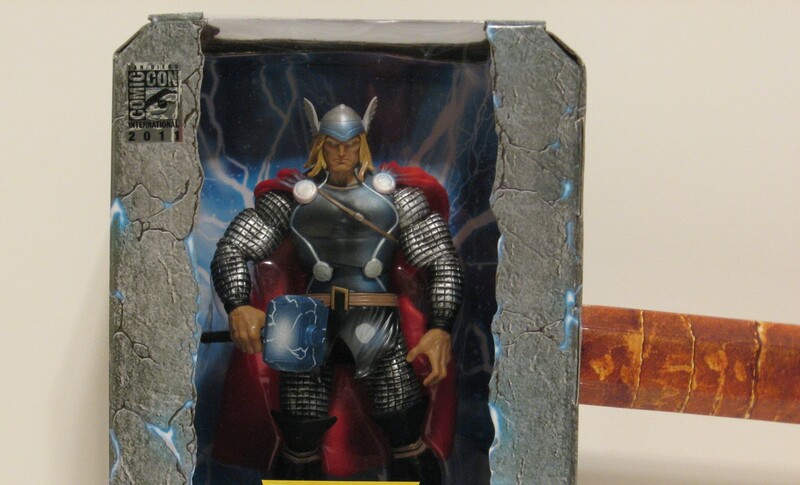 Most photos I've seen were of Thor alone, or Thor in the package but zoomed in to the point that the handle was missing. I agree with the decision to keep him in package… Even more so if you plan on re-buying him as part of the regular line anyways. Hi TripleHBK! 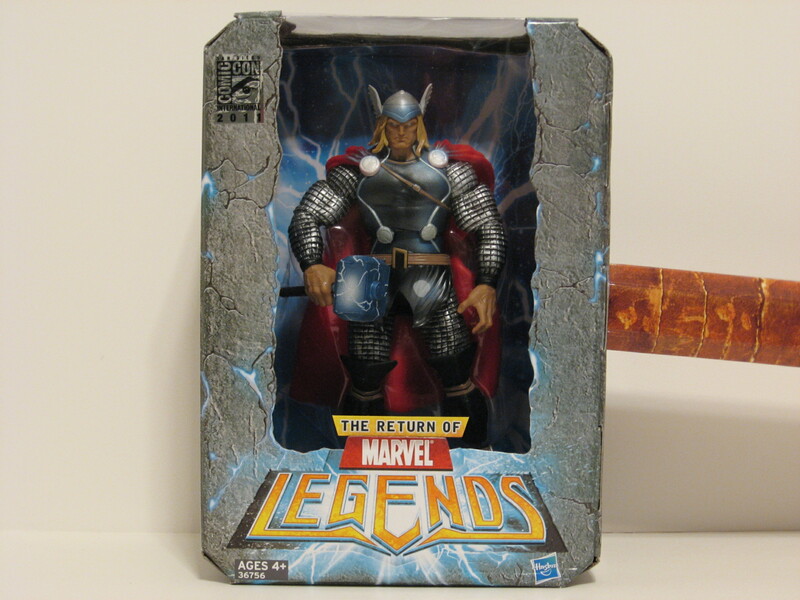 Yeah, I think I have decided to definitely leave Thor unopened, but it is so hard not to though. Every time I pass by him I think to myself, he would look really good standing next to _________. 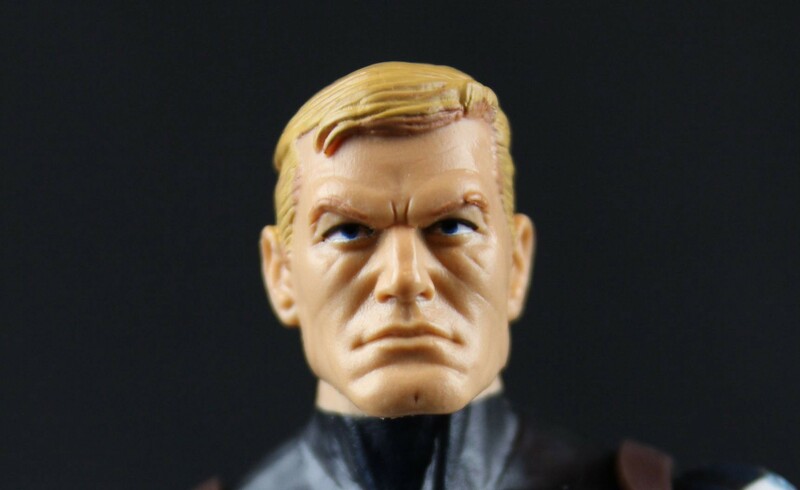 I've waited this long for a new Marvel Legends figure, so I can wait a few more months, I suppose. WAY COOL PACKAGE!! I wouldnt open!!! Hi mknjhill! Thanks and yeah, it's staying closed! 😉 I was going to get in touch with you soon. It's been a while since I've heard from you. I posted in your forum a couple of days ago, but you didn't reply. Everything going OK?